Elegant, tall dual finish Ciborium measures 10 ¼" in height, and 4 ¾" cup diameter. 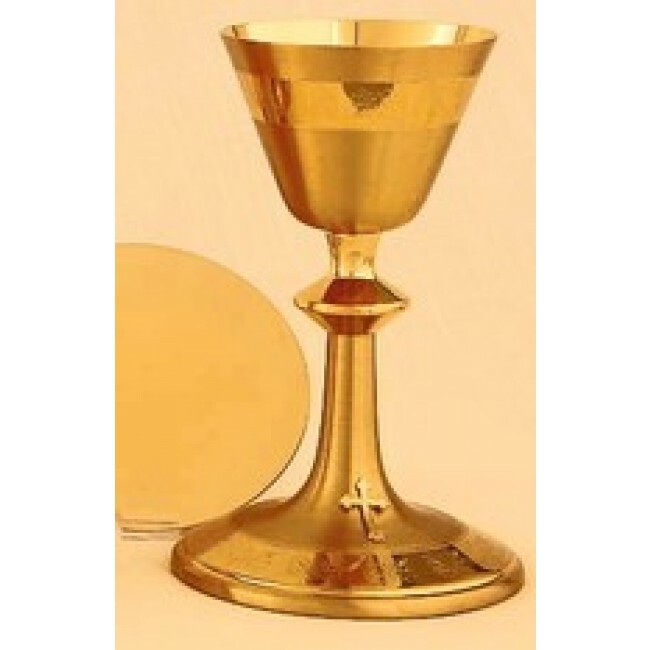 Cup holds 200 Communion Host, Host capacity based on 1 3/8" thin. Polished 24KT gold plate base and cover is adorned with engraved grapes and leaves. Matching Chalice with 8 oz. capacity available for additional cost. Great ordination or memorial gift. 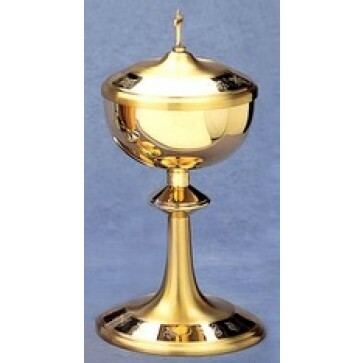 Ciborium is available in sterling silver and silver plate.